The role of toxic heavy metals in disease states has been widely neglected by conventional medicine. Lead is known to contribute to high blood pressure, heart disease, brain damage and dementia. Cadmium, nickel, and arsenic are known carcinogens. Aluminum increases the risk of dementia and other neurological disorders. Gadolinium once thought to be a harmless contrast material for MRI studies, has recently been shown to accumulate in the brain. The problem is that conventional means of testing is inadequate to uncover the lifetime load of heavy metals in your body. Heavy metals pass temporarily in the blood before they accumulate in the bones and in other cells of the body. Testing the blood is a bit like trying to tell how many automobiles there are in a given state by counting the cars on the highway at three in the morning. You are simply looking for them in the wrong place. The other problem with chronic heavy-metal toxicity is that it does not cause acute symptoms, but rather has a slow, insidious, corrosive effect on your health. When diagnosed with high blood pressure, conventional doctors don't think to test for the presence of lead. We do. It can take years, and in some cases decades of chronic heavy-metal exposure before cancer will form or dementia becomes apparent. At I.M.120 we aspire to help you live a 120-year lifespan. In order to do so you must address chronic toxicities to diminish cancer risk, reduce the risk of heart disease and stroke, and protect your brain. 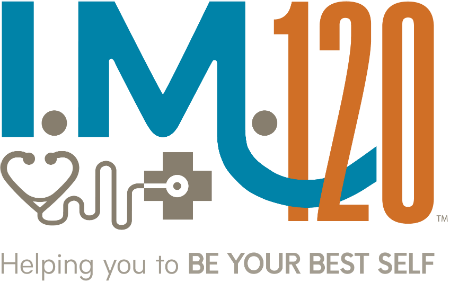 At I.M.120 we will combine your clinical and family history, with "Provocative" heavy-metal testing to determine your risk and design a plan to diminish it. "Provocative testing" involves administering an intravenous infusion of calcium EDTA, a sterile FDA approved artificial amino acid that can pull the heavy metals out of their hiding places where they can then be passed into the urine and tested. The information, combined with your clinical situation, will guide our recommendation for your detoxification regimen. This is a sample. Additional toxic metals are identified in the actual report. Analysis of the levels of toxic metals in urine after the administration of a metal detoxification agent is an objective way to evaluate the accumulation of toxic metals. Acute metal poisoning is rare. More common, however, is a chronic, low-level exposure to toxic metals that can result in significant retention in the body that can be associated with a vast array of adverse health effects and chronic disease. One cannot draw valid conclusions about adverse health effects of metals without assessing net retention. For an individual, toxicity occurs when net retention exceeds physiological tolerance. Net retention is determined by the difference between the rates of assimilation and excretion of metals. To evaluate net retention, one compares the levels of metals in urine before and after the administration of a pharmaceutical metal detoxification agent such as EDTA, DMSA or DMPS. Different compounds have different affinities for specific metals, but all function by sequestering "hidden" metals from deep tissue stores and mobilizing the metals to the kidneys for excretion in the urine. Testing takes approximately 30 minutes. You will receive and IV infusion of 3g EDTA. After infusion, you will collect your urine for 6 hours. Specific instructions will be given at your appointment.